Color raises $41M in a series A round with no revenue. Twitter is valued at $7.7B with $45M revenue (171 times revenue) in 2010. Facebook is now valued at $65B up 30% over 6 weeks relative to the valuation when Goldman Sachs invested. Hiring a couple of hot software engineers today is Silicon Valley is the equivalent of the Red Sox signing Adrian Gonzalez and Carl Crawford. Another Internet Bubble: that’s what it looks like to me. The difference this time is that the companies have revenue and might be profitable when they are valued at crazy high valuations. The predicted IPOs of Groupon and Facebook will be for revenue-generating and profitable companies. Google has proven that high valuations can be sustained. However, a bubble — is still a bubble. Can a photo sharing site that hasn’t launched really need or justify $41M? Facebook was reported to have a trailing price to earning (P/E) ratio of 125 @ a $50B valuation. Today it is at a P/E of 162. Google by comparison has a P/E of 22 and a market cap of $180B. 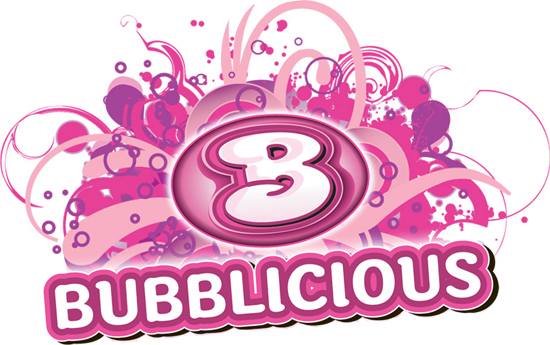 Valuations are just, well crazy — Bubblicious. What is the bubble doing the entrepreneurial eco-system? Valuations are crazy high for any company that can integrate the words Social Media into its business plan. This is great for entrepreneurs in the Social Media space — if the markets soar long enough to get to an exit or trade their shares on emerging secondary markets. It is particularly good for social media startups in Silicon Valley where early stage valuations have been soaring. Lots of very early stage companies are being funded by micro VCs and super angels. In fact there is a stampede of funding in this area. All 43 Y-combinator (nascent stage incubator) companies now have the option of taking $150,000 fromYuri Milner with no questions asked. At some level, a rising tide lifts all boats, so crazy social /mobile media valuations help all early stage valuations. Lots of companies are being funded with virtually no operating history or visionary technology. Today’s programming tools enable incredibly rapid development of websites. What used to take several man years can now be executed in a few months. New companies often have a prototype website running before they are funded. So, there is a little special sauce in the actual coding. Sure, the design aesthetic may be unique, but getting the actual site coded or copying someone else’s site is for the most part significantly less than one man year’s worth of work. The hope is that 1 in 20 or 1 in 50 will be the next Facebook. Since the businesses do not have much technical differentiation or market traction, it is all about finding the right entrepreneurs from the swamp of competitors and hope they drive and thrive. In fact, business plans are considered old school. Don’t plan much, we are now told, but get out and do. Has anybody heard this before ? What’s the bad part about lots of companies funded at increasingly higher valuations? The 20, 50 or 500 small bets that investors are making in very early stage startups take money away from other parts of the ecosystem. Yuri Milner’s $150K investments in Y-combinator companies alone add up to $6.5M in capital that could have been invested more productively. Companies with some operating history and real plans not in the social media/mobile space continue to have a hard time raising money. At some level it seems easier to raise money on the hope of a great future than if you actually have proof points and, yes, some operating history. These less glamorous businesses in many ways have a higher likelihood of success, but don’t fit into the noisy herd of investments these days. Hardware-based businesses, which by their very nature require more investment capital, find it very difficult to raise early stage capital today. Investments in hardware and surrounding IP builds businesses that are much more defendable than 99% of the social media businesses. Finally, like all of them, this bubble will end — badly. One poignant point on the bubble nature of the market. I have a friend who went from developing hedge fund models to a social media startup guy. He is loving the startup world and can’t wait for the Groupon IPO. Not because he wants in, but because he is dying to short the stock. Bubbles are fun, but they distort markets and end painfully. Until then, enjoy the ride. Nice thoughtful piece Brad. It’s worth laying it out next to Ben Horowitz’s post (http://bit.ly/dPepsN) to help us all with the thought experiment on what’s really happening here. As someone who is active in the Silicon Valley entrepreneurial community, the dynamics I’m seeing here seem a bit different than those you appear to be experiencing out east. Let me start with at least one clarification as it relates to Yuri Milner and Ron Conway’s investment in Y-Combinator companies. What they’re buying into is Paul Graham and the team of mentors at Y-Combinator. The fact is that most of the graduating companies do end up getting funded with or without the involvement of Milner and Conway because of the rigor of the process they go through. The success rates in terms of exits and ROI on investments in Y-Combinator companies is plenty good by any angel investor standards. $150K is not frothy by any means so I wouldn’t see this as a negative. 1. Ideas alone are not getting funded. You have to have launched and even gained some traction for even angel investors to consider the investment. AngelList, which has been a good place for startups to find angel suitors, is only good for those with operating businesses showing traction. 2. The cost of getting started has dropped significantly. I recently met w/the founder of a Y-Combinator graduate company that was recently acquired by Zynga after only raising $75K. They had just begun investigating doing a more meaningful angel raise when three offers came at them. 3. Angels are a tad more savvy this time around and there are more of them. There has been some down side from this, specifically in angel deal valuations getting bid up. 4. While Color is aberration, it’s important to note that a lot is being accorded to the founding team. Path received similar adoration though their fundraise was not nearly as insane as Color’s. This was a straight to VC deal given its size but they’re playing for a very big market off the bat with a team that’s done it before on several occasions. Yes, it’s frothy, but it’s a big bet on an all-star team. It’s not the norm. 5. Google, Facebook, Twitter, Zynga, Foursquare, and a host of other growing companies are hiring and acquiring like crazy. All this to say, that there’s an appetite for innovative startups in the Valley, doing things that these larger companies cannot spend time on, but that can bring value to their platforms. In some cases, the acquisitions are purely for talent because as you’ve pointed out, it’s in high demand. Having said that, I’ve been recommending to any startup looking to move here to be close to the “action”, to keep their development hubs elsewhere and open a business or sales office here instead. Last I checked 6 or so months ago, Zynga had something like 500+ open job reqs. That’s just one company. 6. On the upper end of the scale, valuations are high, but what we’re seeing is that revenue is also growing faster than any one can predict. Even the aggressive predictions turn out to be wrong. Groupon, a Chicago-based company is a perfect example of this. They’re blowing every metric out of the water every time they disclose information. They are already worth more simply based on revenue growth alone, than the $6B offer from Google, which what was thought to be an outrageous at the time (6-7 months ago). Facebook is on its way to reaching 1B people!!! Do those people have a lifetime value to FB of $65/person? It’s not yet clear, but it does feel like we’re in the early stages of their monetization strategies. 1) I am a huge fan of Y combinator. Round Capital’s Josh Kopelman in the release. that your customers want to pay for and the rest is definitely noise.